To facilitate international business, Healy Consultants Group PLC assists our Clients with the registration of global, legal corporate structures. 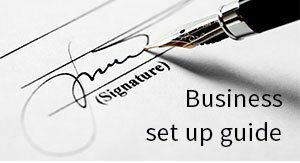 Offshore business registration, although popular, can be quite challenging. We suggest three types of destinations to our clients for an offshore business setup: i) traditional tax havens like the BVI, the Isle of Man and the Seychelles ii) legally tax exempt trading companies in reputable countries including Singapore, Hong Kong and UK and iii) low tax / tax exempt trading companies in reputable countries like Ireland, Hungary and Liechtenstein. Healy Consultants believes traditional tax haven entities are unpopular with banks, customers and suppliers. Instead, Healy Consultants recommends our Clients to choose low tax jurisdictions to conduct substantial operations. 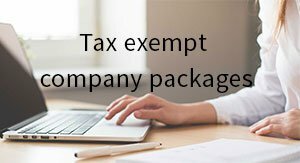 Alternatively, our Clients may also conduct international business through legally tax exempt businesses setup in reputable jurisdictions including Singapore, Hong Kong, and Dubai. 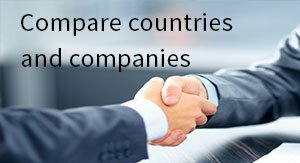 Other common names – Other common names – Offshore companies are also known as i) non-resident companies ii) international business companies (IBC) and iii) exempt companies. Capital gains and inheritance tax can be legitimately minimized when international assets are owned by an offshore LLC. For example, a Luxembourg SPF can own international securities, real estate, and private equity and can be transferred or sold to third parties without triggering local tax liabilities. Some offshore jurisdictions do not require non-resident companies to disclose identities of shareholders and directors, allowing them to protect their privacy. Some offshore jurisdictions do not require annual financial filing and tax returns, reducing accounting obligations. Yachts or ships may also be owned by a firm registered in an offshore jurisdiction, which can prove to be a cheaper and more tax-efficient method of ownership (e.g. using a Marshall Islands company). While it is possible for Client to not pay taxes in these offshore jurisdictions, they are still required to pay taxes in their home country. Zero tax companies – These companies are LLCs incorporated in a country which does not implement corporate income tax. The UAE is an example of a jurisdiction providing for the registration of zero tax companies. However, such a business set up tends to be more challenging and costlier than the three other types of entities described above. Trusts are excellent alternatives to a complex structure of limited liability companies and corporations commonly used for estate planning. For the EU, our Clients should consider a Liechtenstein Trust or Foundation. “Double Irish” and “Dutch Sandwich” – multinational corporations used the Double Irish arrangement to lower corporate tax liability, by funneling their corporate income through Ireland, Netherlands and finally, Bermuda. Google is under scrutiny for escaping a tax bill of €1.12bn in France in 2017 alone. Common Reporting Standards – In 2014, the OECD countries agreed to adopt new standards for automatic exchange of fiscal information (AEOI) between their tax administrations. This will allow Governments to crack down on tax residents that use offshore companies to evade tax obligations. EU tax haven blacklist – The EU has removed eight countries off its tax haven blacklist including Panama. They have been put on the grey list of countries – which means that the jurisdictions have some red flags according to the EU standards but are improving gradually. To help us engineer the optimum Offshore corporate structure, please complete the 3-minute questionnaire below; then press the submit button below. 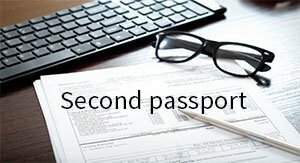 Are there any business restrictions for foreigners when opening a company in an offshore jurisdiction? 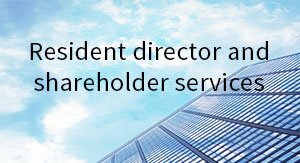 Certain jurisdictions including Singapore and Ireland will require companies to hire at least one local director. Healy Consultants will be pleased to offer this service to our Clients. However, the costs for this service will vary from one jurisdiction to another. Will details of my offshore company incorporation be available for public viewing? No. Offshore jurisdictions will not require businesses to register the names of their directors and shareholders publicly. It is important our Clients are aware of their personal and corporate tax obligations in their country of residence and domicile; and they will fulfil those obligations annually. Let us know if you need Healy Consultants help to clarify your local and international annual tax reporting obligations. Why form an offshore company? 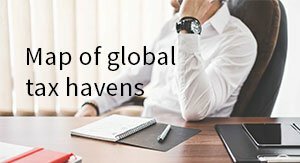 Offshore business setup offers several incentives for entrepreneurs including i) lower corporate tax rates ii) permission to defer annual taxes iii) elimination of exchange rate risks when dealing with foreign Clients iv) no requirement to submit tax returns and v) privacy for the shareholders and directors. 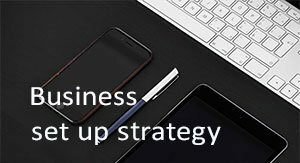 Tax haven business formation allows entrepreneurs to take advantage of the low tax policies as compared to the other global jurisdictions. Jurisdictions such as BVI and Cayman Islands even allow companies to hold their money without any tax obligations.